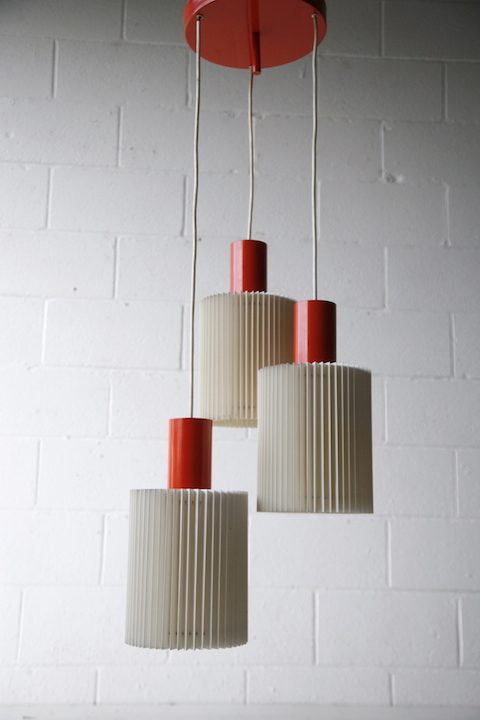 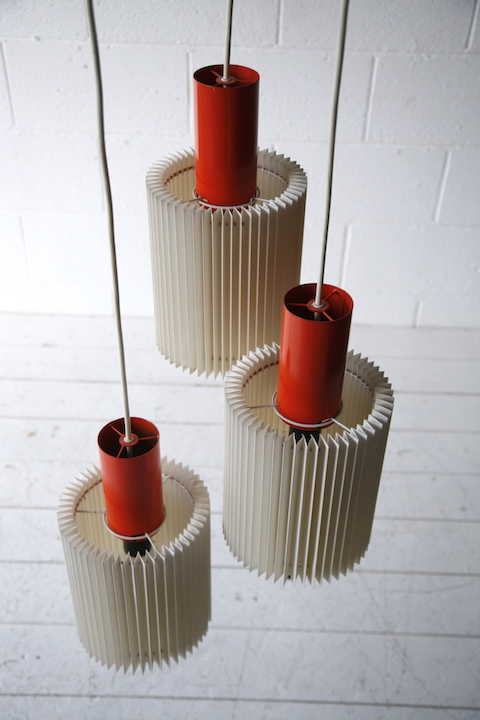 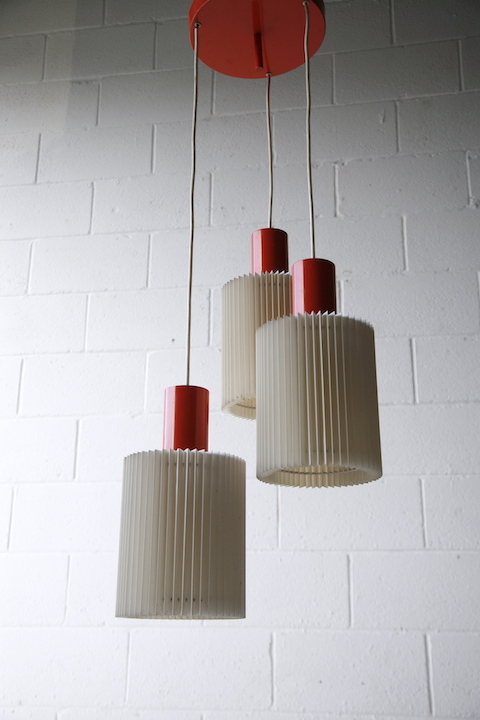 A lovely 1960s adjustable triple pendant light. 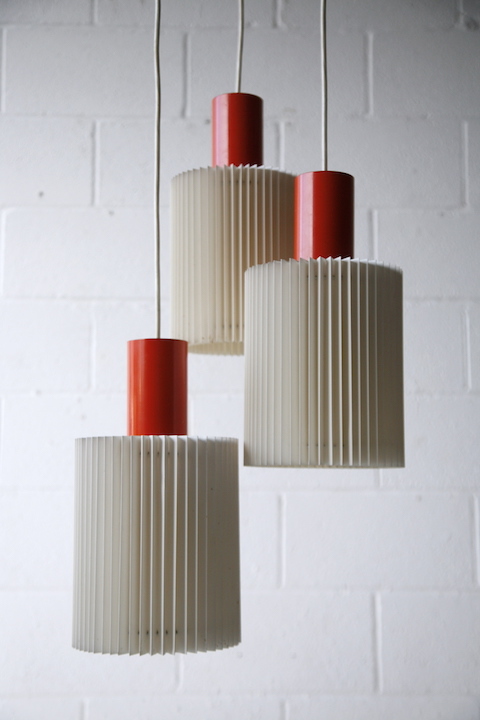 With 3 plastic shades and orange fittings. 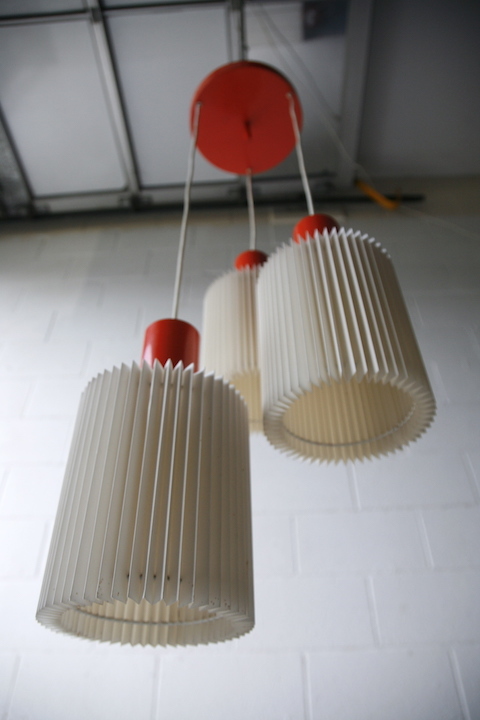 Fully working and in good vintage condition.